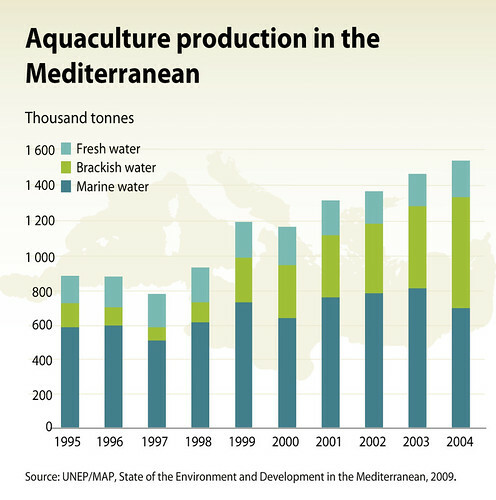 Aquaculture is the fastest growing food sector in the world, with about one-third of global fish consumption coming from framed fish. 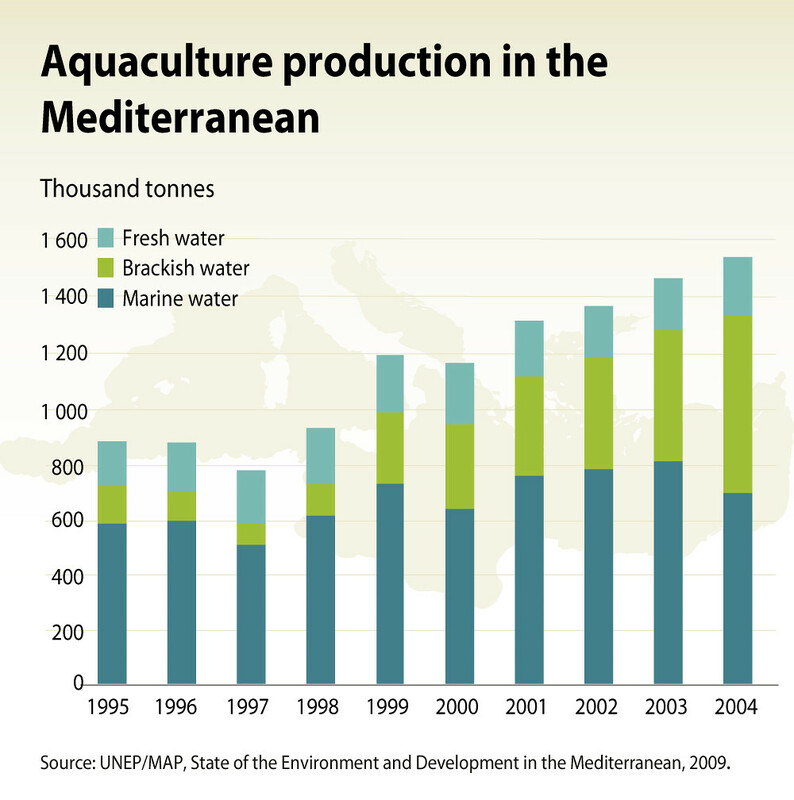 Although the Mediterranean region has a long history of fish farming, aquaculture and particularly mariculture have undergone a dramatic expansion since the 1990s. 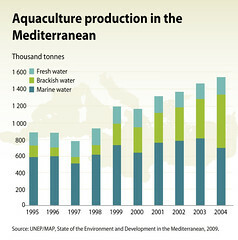 Decreasing wild fish stocks, combined with increasing consumer demand for fish, have spurred growth of the industry. For any form of publication, please include the link to this page and give the creator credit (in this case GRID-Arendal) If the high-resolution file is not available, please contact grid@grida.no for request and permission for usage.